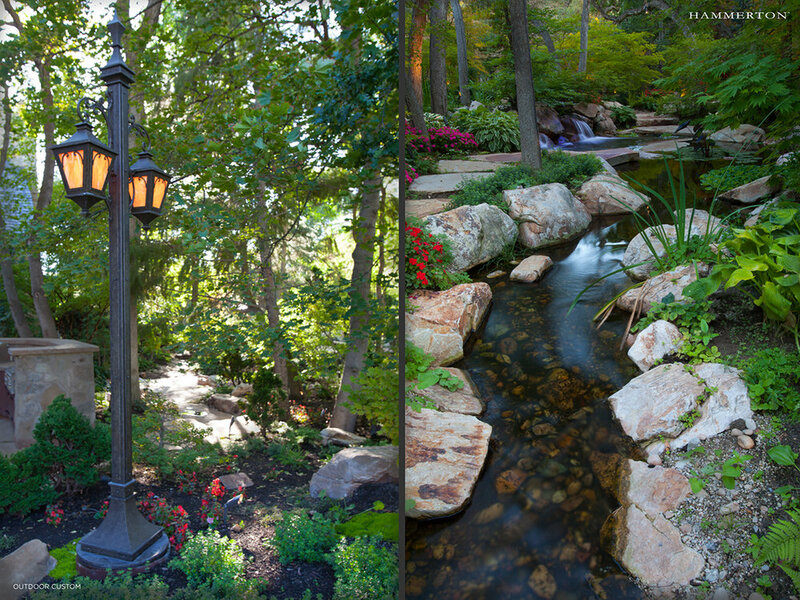 This enchanting 2.5 acre garden was designed as an entertaining space for a private Salt Lake City residence. 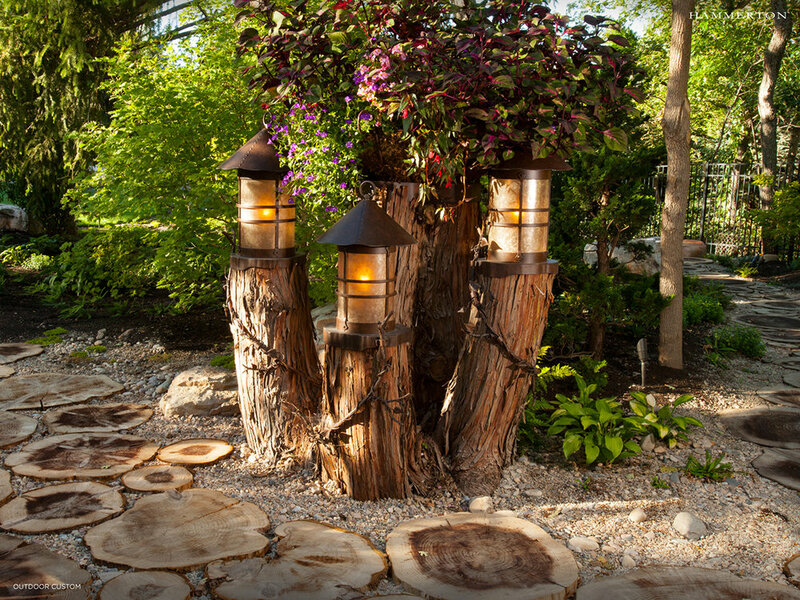 The landscape boasts more than 5,000 plant and 300 tree specimens brought in from exclusive suppliers and private estate gardens, including rare maples, sequoias, cypress, cedar, a 90-year old bonsai tree, and a hemlock specimen that is one of only three remaining in North America. Ponds and water features are connected by a system of streams that appear entirely native to their surroundings. Anchoring the landscape and water features are 250 tons of rock extracted from the nearby Weber River. Hammerton extended the theme of organic beauty with site-designed custom fixtures that appear to blossom right out of the foliage. The Hammerton team also conceived the idea of camouflaging the electrical and irrigation systems with handcrafted tubing that resembles natural vines. To ensure lasting beauty and provide the highest level of weather resistance, all Hammerton lights were pre-treated and painted using a proprietary, multi-coat process with AAMA certified paints.